David Hush was born in Bristol, UK and was educated at Clifton College. After completing degrees in Arts and Music at the University of Sydney, Hush was the first Australian applicant to be awarded a Graduate Fellowship in Music at Princeton. While at Princeton he studied with the influential composer and theorist Milton Babbitt, earning a Master of Fine Arts and a PhD. On completing his PhD Hush remained in Princeton until 1993, when he returned to Australia and took up a composer residency at the Sydney Conservatorium of Music. 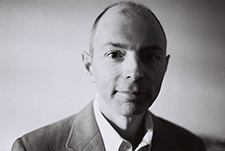 Hush has written works spanning solo instrumental, chamber ensemble, choral and orchestral idioms that have been performed, recorded and broadcast in North and South America, the UK, Europe, Australia and South Korea. Hush has received fellowships and awards from, inter alia, Princeton University, the Hinrichsen Foundation, and the New Jersey State Council On the Arts. In addition, he has received the Ignaz Friedman Prize, was named the first recipient of the Schoenberg Award in 1984, and has received numerous awards from ASCAP. Hush’s music has been recorded and performed by prominent ensembles and soloists. His First String Quartet was recorded by top students from the Curtis Institute, one of whom, Judith Ingolfsson, went on to win the Gold Medal of the International Violin Competition of Indianapolis. Hush’s first acknowledged work, Sonata for Violin Solo, has been championed by multiple award-winning violinist Zina Schiff, a former protégée of Heifetz. Schiff selected the Sonata as the centrepiece for King David’s Lyre, the disc released in celebration of Jerusalem’s 3,000th anniversary. The CD was cited as one of the best recordings of the year by the American Record Guide in its critics’ choice for 1997. More recently, the Sonata was performed by John Holloway, one of the world’s leading Baroque violinists, as part of the Tongyeong International Music Festival in South Korea. Since the release of King David’s Lyre, Zina Schiff has commissioned, performed and recorded more pieces for solo violin. On 7 May 2001 five of these works were played in a live Internet Broadcast from Seattle, USA reaching an estimated audience of 100,000 worldwide. The premiere of Hush’s Contrapunctus was given by James Ehnes and Rivka Golani. Hush has collaborated with Gary Karr, the world’s leading double bass soloist. Hush’s composition Evening Rain represents a first for composer and performer alike. To begin with, it is Hush’s first excursion into the realm of the electroacoustic; at the same time, it marks Karr’s first interpretation of a piece using a pre-recorded soundtrack. In 1997 Hush was commissioned to write Pictures of Israel, a work for violin, double bass and tabla. 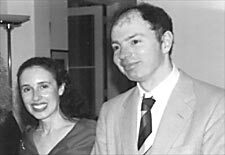 The premiere of this piece, on 29 June 1997 in San Diego, saw Zina Schiff joining forces with the acclaimed American double bassist Bertram Turetzky. The Australian Festival of Chamber Music has featured Contrapunctus as performed by Dene Olding and Irena Morozova from the Goldner Quartet, and Two Songs for Flute and Piano as played by Lorna McGhee and Piers Lane. May 28 2013 witnessed a symbolic handshake between music and science in Australia with the world premieres of two works commissioned by the Australian Academy of Science: Celtic Runes and Largo. They were performed by Virginia Taylor (flute) and Kristen Sutcliffe (bassoon) and were presented by Professor Suzanne Cory FRS President of the Academy. On 14 August 2014 the world premiere of Hush’s First Piano Trio was given by Goetz Richter (violin), Jeanell Carrigan (piano) and Minah Choe (cello) at the Sydney Conservatorium of Music. In 2015 Hush was commissioned to write a Wind Quintet for the Sydney based ensemble Windfall, who gave the premiere 21 June 2016. In 2017 Hush received six world premieres of pieces written for the double bass by Elsen Price in Sydney and Hobart. Venues in which Hush’s music has been presented include the Chicago Cultural Center, the Palace of Fine Arts in Mexico City, Teatro Colón in Buenos Aires and London’s Wigmore Hall.